Lizzie Meek in Cape Evans hut. Image by Alasdair Turner. Now working in Antarctica for the New Zealand-based Antarctic Heritage Trust, I received an Anna Plowden Scholarship in 2003/4 which contributed to my studies at West Dean College (Diploma in the Conservation of Library and Archive Materials). This year of study consolidated a number of years in the field of book conservation, and from there I moved to a position as Senior Book Conservator at the National Library of New Zealand. Amongst other projects, I oversaw the installation of seismic restraints to the stacks in the Rare Books Room, which involved the relocation of the entire Special Collections to another area and back again. 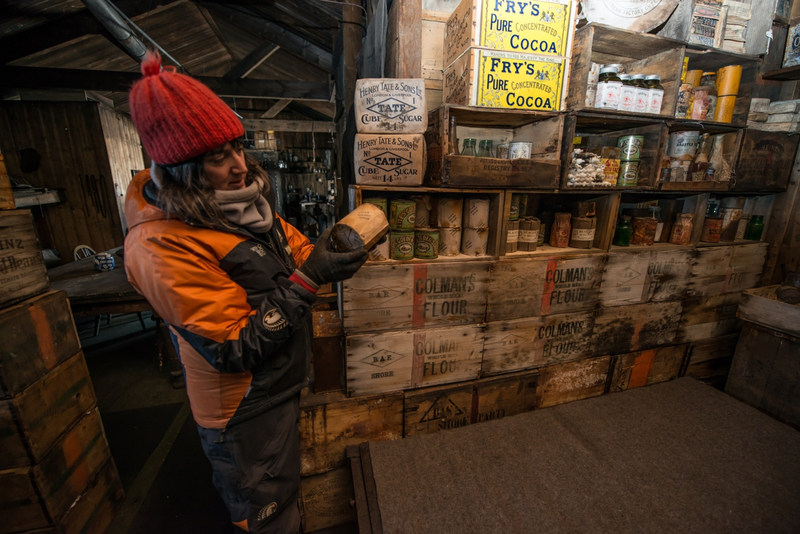 A seven month sabbatical to work on the books and papers left in Scott’s Hut, Antarctica, led to a permanent position with the Antarctic Heritage Trust as Programme Manager-Artefacts. 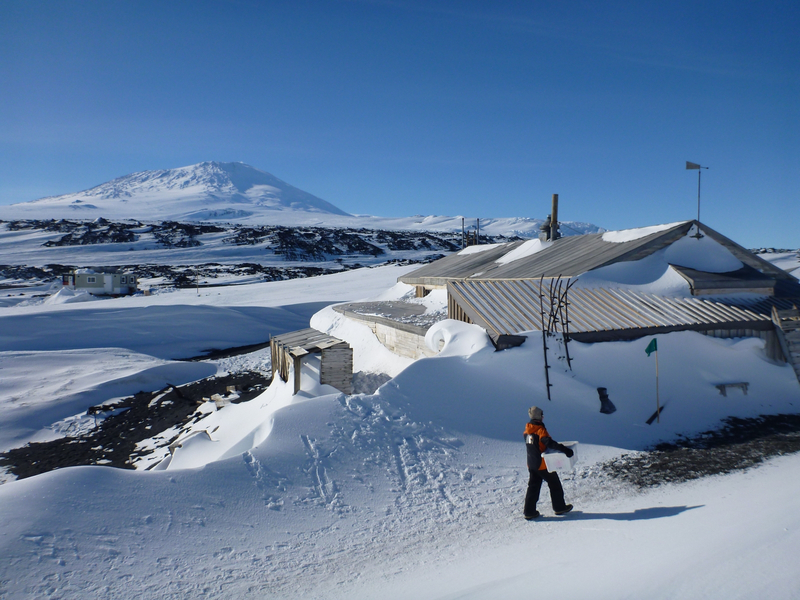 Since 2008, working life has been partly in New Zealand planning Antarctic logistics and managing teams of conservators, as well as spending two-three months in Antarctica each summer season, living in a tent out in the snow and ice. Working with teams of conservators and heritage specialists on a year-round project, we conserve the expedition bases left behind by Scott, Shackleton, Borchgrevink and Hillary. A combined collection of over 20,000 artefacts has been assessed, documented and treated where beneficial, and the items preserved in situ within the buildings. This work has resulted in a heritage experience that David Attenborough once described as ‘a time-warp without parallel’. Contributing to maintaining the buildings in their original context, in the midst of such adverse environmental conditions, has been challenging, exhausting, exhilarating and hugely satisfying. I’ve never forgotten the assistance I received in the early days of working and learning in conservation, from organisations such as the Anna Plowden Trust, and from teachers, mentors and colleagues who were as interested as I was in finding ways to bring history and stories to the community. The Antarctic Heritage Trust is a New Zealand-based not-for-profit with a vision of ‘Inspiring Explorers’. Through its mission to conserve, share and encourage the spirit of exploration the Trust cares for the remarkable expedition bases of early Antarctic explorers including Captain Robert Falcon Scott, Sir Ernest Shackleton and Sir Edmund Hillary. It shares the legacy of exploration through outreach programmes and encourages the spirit of exploration through expeditions to engage and inspire a new generation. Lizzie Meek at Cape Evans hut. Image by Alasdair Turner. Lizzie Meek inside Cape Evans hut. Image by Alasdair Turner. 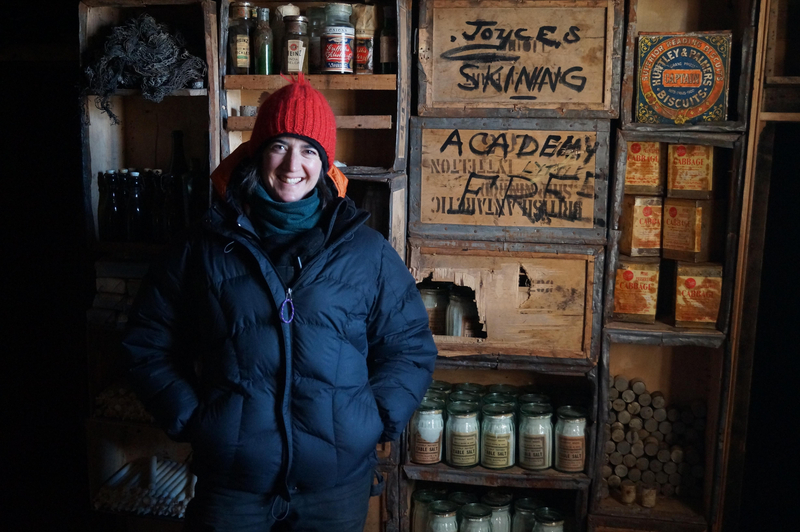 Lizzie Meek inside Cape Royds hut. Image by Alasdair Turner.